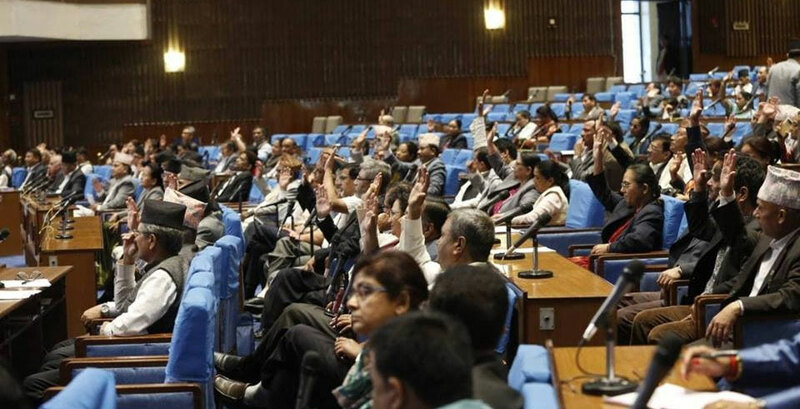 KATHMANDU, June 14: The main opposition Nepali Congress (NC) has demanded the resignation of either speaker or deputy speaker of the parliament in line with the constitutional provision of electing the two from different political parties. Taking the issue to the parliament, chief whip of the NC Bal Krishna Khand demanded in the House meeting on Wednesday that one of them should step down from the post in the aftermath of the party unification between CPN-UML and CPN (Maoist Center) to form the Nepal Communist Party (NCP). “With respect to the speaker and deputy speaker, I want to draw the attention of the House that Clause 2 of Article 91 of the constitution states that speaker and deputy speaker of the House of Representatives should be from different political parties, but both are from the NCP now,” said Khand. He also argued that laws related to the political parties also mentions that their political affiliation will transfer to the new party after the party merger. Ruling NCP leaders, however, claimed that they shouldn't resign as they have already given up their party membership. Expressing objection to the demand of Khand, NCP lawmaker Khagraj Adhikari argued that both the speaker and deputy speaker have already resigned from their party. 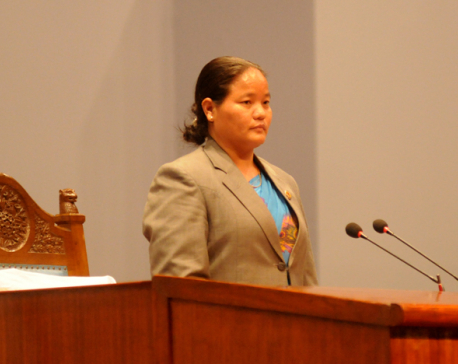 “Such issue undermines the parliament, so I demand that it shouldn't be raised time and again,” said Adhikari.